It now looks like we'll be making a date, once every three months or so, to get particularly excited about upcoming UK DVD and Blu-ray releases. Today is that day, a day when Eureka announced their April, May and June line-up. And yes, we're excited. 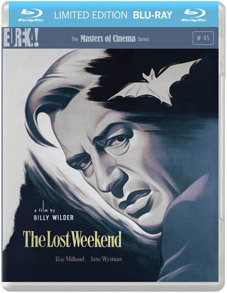 For the first time Masters of Cinema are to release works by celebrated masters Alfred Hitchcock and Billy Wilder. There will be seven new releases added to the Masters of Cinema series in the shape of Double Indemnity, The Lost Weekend, Lifeboat, Island of Lost Souls, Ruggles of Red Gap, Sanshô Dayû and Ugetsu Monogatari) as well as one non-Masters of Cinema release, namely Takashi Miike's Yatterman. 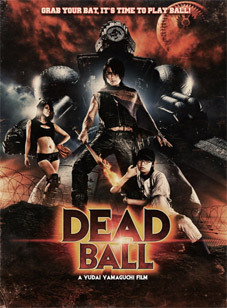 Eureka also continues its ongoing association with Bounty Films (responsible for the UK release of The Human Centipede) with the release of Yamaguchi's Deadball. "We're very excited to finally be welcoming British legend Alfred Hitchcock into the Masters of Cinema Series. He made Lifeboat during WW2, his only film for Fox, and the same year he made two shorter films for the war effort – Bon Voyage and Adventure Malgache – both collected here, in new HD restorations as a sumptuous Dual Format special edition. 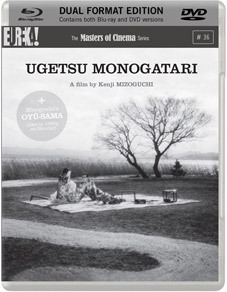 "Our two best selling Mizoguchi titles, the enormous Japanese masterpieces Sanshô Dayû and Ugetsu Monogatari will receive the upgrade treatment in April when they appear in new HD restorations / Dual Format editions alongside Oyu-sama and Gion Bayashi, also in HD. "May 2012 sees a Charles Laughton double-bill. 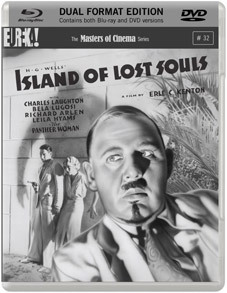 One of England's most-loved actor/directors (his only directorial effort – The Night of the Hunter – being one of the most remarkable one-offs in the history of cinema), Scarborough-born Laughton has a marvellous time in the pre-Code Universal horror classic Island of Lost Souls. 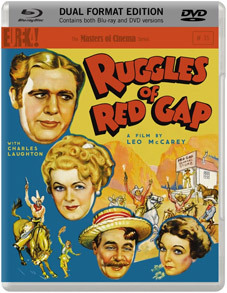 Three years later he starred in Leo McCarey's amazing Ruggle sof Red Gap. The director of Make Way for Tomorrow directs Laughton who plays an English valet whisked away to the American west. Banned on release by Nazi Germany because of Laughton's moving recitement of the Gettysburg Address. 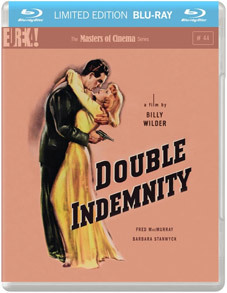 "In June we welcome the great Billy Wilder into the Masters of Cinema Series with two of his very greatest achievements on Blu-ray only – Double Indemnity (1944) starring Fred MacMurray and Barbara Stanwyck, and The Lost Weekend (1945), which stars an Oscar-winning performance by Welshman Ray Milland." The full line-up is as follows. Mizoguchi's intensely poetic tragedy consistently features on polls of the best films ever made. This new HD restoration is the film's first appearance on Blu-ray anywhere in the world, and is accompanied by an HD presentation of Mizouguchi's 1951 classic Oyü-sama. 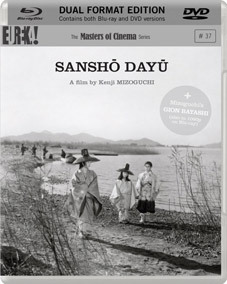 One of the most critically revered films in Japanese cinema history, Mizoguchi's deeply affecting classic has been newly restored in HD and appears here on Blu-ray for the first time anywhere in the world, and is accompanied by an HD presentation of Mizoguchi's 1953 classic Gion Bayashi. Classic seventies anime series Yatterman flies to the silver screen in a brilliant crime-fighting explosion of candy-coloured camp, over-the-top adventure, and pure popcorn entertainment. 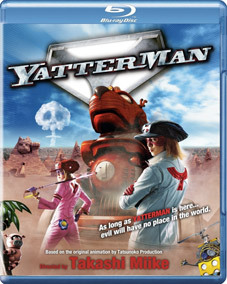 Directed by legendary cult director Takashi Miike (13 Assassins, Ichi the Killer, Audition) and featuring a brand new plot and re-imaged characters, this live action debut of Yatterman will re-define the robot action adventure genre. A hilariously offensive, politically incorrect sports splatter comedy, Deadball is director Yudai Yamaguchi's follow-up to his earlier zombie baseball classic Battlefield Baseball, and once again features action star Tak Sakaguchi (Versus, Be a Man! Samurai School). For the first time in the UK, one of the most imaginative and nightmarish fantasies from Hollywood's golden age of horror - starring the legendary Charles Laughton. Originally rejected by the BBFC, this first and best screen adaptation of H. G. Wells' The Island of Dr. Moreau, is one of Hollywood's wildest pre-Code pictures. The UK home viewing premiere of one of the finest films of Leo McCarey (Make Way for Tomorrow, An Affair to Remember) finds Charles Laughton in one of his greatest roles as a personal valet shipped off to America in the service of the brash and wealthy Egbert Floud (played, coincidentally enough, by Charlie Ruggles); a sophisticated comedy of rude manners ensues. Billy Wilder and Raymond Chandler team up to create one of the greatest, and quintessential, films noirs of the studio era, a classic of the hard-boiled genre nominated for seven Oscars, and whose performances by Fred MacMurray, Barbara Stanwyck, and Edward G. Robinson have been leaving audiences breathless for almost 70 years. 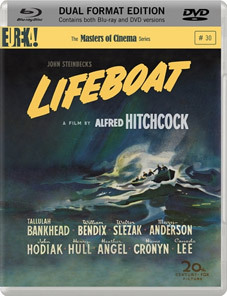 Now, exclusively restored by The Masters of Cinema Series for its first ever release on Blu-ray anywhere in the world. An Academy-Award-winning (including Best Picture) triumph from the great Billy Wilder, with Ray Milland as a writer's-block-ridden and booze-sodden author spiralling into a days'-long rock-bottom binge crafted by Wilder with expressionist fervour. This gorgeous Blu-ray edition is the first available anywhere in the world. More details of each disc will be confirmed nearer the release date. Eureka are also upgrading a batch of their previous releases to dual format editions on 13th February 2012. These upgrades are for Kurosawa's Tôkyô Sonata, To's Mad Detective, Godard's Une Femme Marieé, Imamura's Vengeance is Mine, Laloux's La Planète Sauvage, Tashlin's Will Success Spoil Rock Hunter?, Ichikawa's Burmese Harp & Jia Zhangke's The World (not previously available in a DVD format).